For any of you that are still interested in what is going on in your children’s schools you need to listen carefully. You need to know that Common Core which is being implemented in our schools is a movement towards establishing a set of standards in American schools much like the European System of education. There are many assumptions that the proponents of Common Core are making that are not accurate and over-look the big picture. The mantra has been we must raise our standards. Yes, we need to raise our standards in schools that is completely correct! However, let us consider how we should do this and who will our children be accountable to; the state boards of education or to the teachers and parents? Please allow me to cite a few of the reasons Common Core is Un-American in concept and its implementation. Common Core was adopted by the National Governor’s Association without going to the people for a vote. This set of standards was funded by the Bill and Melinda Gates Foundation in 2009. 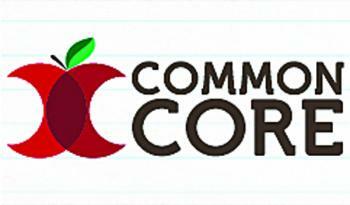 The Gates Foundation has spent millions of dollars to implement Common Core nationally. The Gates Foundation has developed a set of standards, which are their set of standards that they are calling “Benchmarks of Success”. When the National Governor’s Association adopted this they signed onto the Gate’s Foundation standards for funding. This is a sell out at best! The worst of it is that the trade associations along with the education field had to adopt these standards before the standards were actually written and released for review by the citizens and teachers. It reminds me of Nancy Pelosi’s infamous statement. Her statement about the Affordable Care Act was, ”Well, we have to pass it to know what is in it.” Governor Jindal has stopped the implementation. Governor Jindal saw that through Common Core we are racing to our own children’s indoctrination with a set of standards established by the Federal Government written through The Gates Foundation and administered by PARCC! Now that the parents have had time to look at what is actually buried in this algorithm of schooling that educrats have defined and are pushing on us, the more the citizens don’t like what they see. It is hardly difficult to understand that with the climate in Washington at this time. Really, this matter goes back to the age old debate. Does an educated person need to be taught how to think or what to think? Are we wanting to educate our children or just running them through a rote set of standardized methods schooling them in the framework of what educrats deem important. Are we to educate to a higher level through the government’s mantra of competition in the world employment market? Do we really need Common Core’s standardization to do that? Do we want our educational system to teach us critical thinking or do we want to be trained to a specific job? We already have a system in place for that with Vocational Schools at your own discretion. So why do we need the Government and these trade organizations to begin to direct and dictate the standards? All education will be performed to pass their standardized test. These tests will be implemented in entrance and exit exam standards in all the schools, public and private and would even affect the home school student since they too will have to compete within the educational hierarchy for advancement into higher learning. Let us consider the fact that now our centralized bureaucrats who are the BESE Board, the National Council of Governors and the Federal Government have all co-opted the tax-payers power to choose. The citizen-parent of our state will not be calling the shots in your children’s education. Another fact of life we must embrace is that if you take money from the government which in this case is adopting Common Core, we will again be on the hook to the Federal government. How are we to reimburse a wealthy Foundation like Gates without a compromise? Will the compromise be your input in the education of your children or will it in the end really be the compromise we all fear most which is our children’s freedom? Let’s look at the facts. The citizens were left out of the decision making. The Federal Government through the trade associations soon will be directing and dictating the standards of education. All education will be performed to pass the standardized test which was developed by the PARCC consortium. We need to rid our bureaucracy of education from anything Common Core. Don’t let your legislators and the BESE Board off the hook: let’s demand that they follow the Governor’s executive order to cease Common Core in Louisiana! Call your BESE Board member and tell them you want them to stop any further legal action against Governor Jindal’s office. Let’s use our “common sense” in this case and not “common core”. This is a case for your rights in leading your children and grandchildren’s educational future.